Redbreast unveil first ever 100% Sherry Cask Matured limited edition expression. Fans of the superb Redbreast Single Pot Still Irish whiskey will be pleased to hear that they have announced the release of Redbreast Mano a Lámh, this is the first expression released in the Redbreast range which has been 100% matured in sherry casks. The name of the new expression, Mano a Lámh, means ‘hand in hand’ in Spanish and Gaelic respectively, represents the relationship and passion between the Midleton Distillery and the collective of artisans in Spain, which has crafted the distillery’s sherry butts for more than 20 years. The limited edition of only 2000 bottles will be available exclusively to members of The Stillhouse, the online members club for fans of Irish Distillers Single Pot Still Irish whiskey brands. To get hold of a bottle visit www.singlepotstill.com where the new whiskey will be available from this month priced at €65, but don’t hang around as I suspect this will go rather quickly. 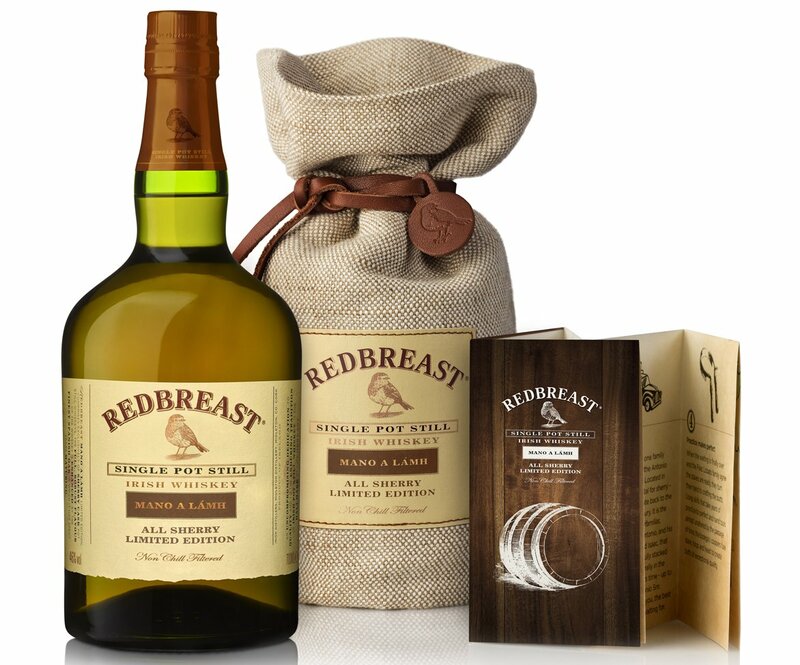 Fans of Redbreast single pot still whiskey range will be aware that the whiskey is traditionally matured in a combination of American Bourbon and Spanish Oloroso butts. The new limited edition Redbreast Mano a Lámh luxuriates in this signature sherry style by bringing together whiskeys which have been matured exclusively in first fill Spanish Oloroso sherry casks, which is sure to impart distinct, rich, fruity flavours and a full body. As I said the new whiskey is imited to just 2,000 bottles, Redbreast Mano a Lámh is non-chill filtered at 46% ABV and is available exclusively to members of The Stillhouse from February 2015, priced at €65. For more information on Single Pot Still Irish whiskey and to get hold of a bottle of the Redbreast Mano a Lámh visit www.singlepotstill.com.